An Egyptian court on Saturday sentenced 75 people to death for participating in a 2013 demonstration in support of then-President Mohamed Morsy, and referred their cases to the country's Grand Mufti for a final decision, according to state-run news agency Ahram Online. 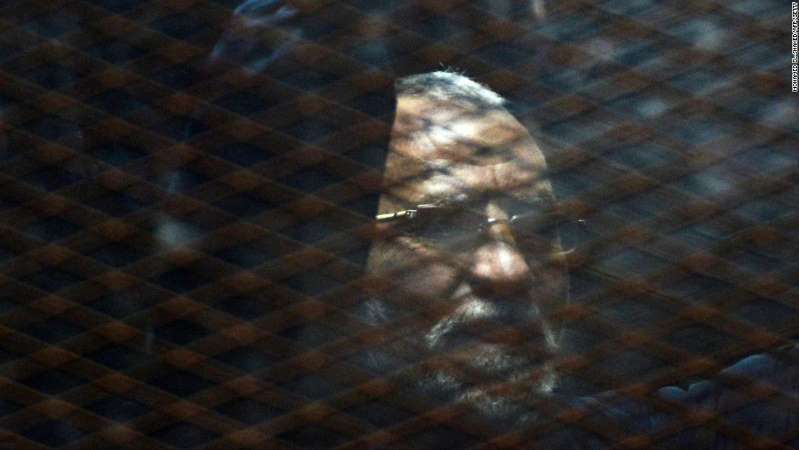 The defendants, which included members of the Muslim Brotherhood, were arrested and tried for participating in a sit-in at Rabaa al-Adawiya and al-Nahda squares in Cairo, to protest the removal of Morsy, a former Brotherhood leader and the country's first democratically elected president. [post_ads]The month-long protest culminated in mass violence, when Egyptian security forces -- under the command of now-President Abdel Fattah el-Sisi -- attempted to clear thousands of demonstrators by using automatic weapons, armored personnel carriers and military bulldozers. The government's actions were widely condemned by international rights organizations. A 2014 report by Human Rights Watch found at least 817 people were killed in the violence. The Egyptian government has since banned the Muslim Brotherhood, declaring it a terrorist organization. The 75 defendants sentenced to death on Saturday are accused of "attacking citizens, resisting authorities, destroying public property and buildings, and possessing firearms and Molotov cocktails," according to Ahram Online. Before the verdict can be finalized and death sentences carried out, Egypt's penal code requires the Grand Mufti, the country's leading Islamic authority, to issue a religious opinion on the matter, according to Ahram. The Grand Mufti's opinion is non-binding but rarely ignored. Amnesty International tweeted on Saturday about the case, noting that "no members of the security forces have been held responsible for the violent dispersal of the Rabaa protest." In 2017, Najia Bounaim, North Africa Campaigns Director at Amnesty International, said: "The dark legacy of this failure to bring anyone to justice is that Egypt's security forces today feel that they will not be held accountable for committing human rights violations." A criminal court will issue its final verdict on the death sentences on September 8, Ahram reported, but defendants will have the right to appeal.